I will admit popsicles and ice cream are my favorite treats during the summer months! 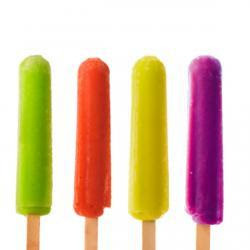 My favorite popsicles are the sugar free (guilt free) Popsicle brand- in tropical flavor! My favorite kind of ice cream? I like sherbert flavors (refreshing), but definitely #1 would be some form of coffee with toffee in it. 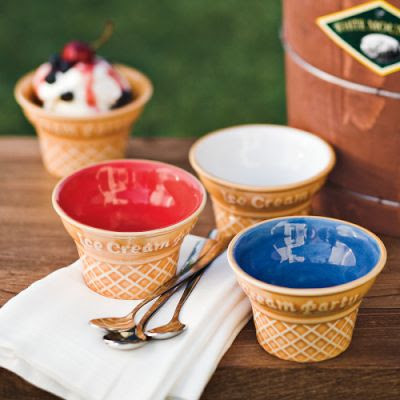 Look at these ADORABLE ice cream bowls from Williams Sonoma and Wrapables! Ben and Jerry's Phish Food is my favorite. Although lately I've developed an affinity for Cookies 'n' Cream! Rocky Road all the way! Peanut butter-chocolate all the way, baby! I am (alas) an equal opportunity ice cream lover. Anything goes (straight to my thighs)! However, my tried and true favorite is vanilla ice cream with Hershey's chocolate sauce on top. I'm a total ice cream junkie. I eat a lot of the Edies Slow Churned Yogurt and pretend that it's really healthy. And those are my husband's favorite popsicles too! I can't stand them. Something about the flavors really gross me out. Ice cream is kind of "take it or leave it" for me- not something I HAVE to have. 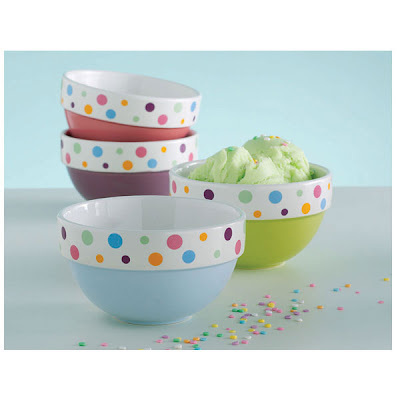 Love the bowls, though! We love ice cream here... most any flavor. We even have special spoons to eat it with - they are gold as it is said to not interfere with the taste of he ice cream (my dh is an ice cream nut). My favorite would be anything with peanut butter.